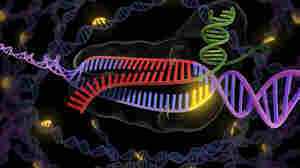 June 26, 2014  This technique for manipulating genes borrows a strategy from the way bacteria fight viruses. It's still experimental, but the possibilities excite medical researchers hoping to tailor treatments. July 17, 2013  The number of babies born with the life-threatening disease will climb by a third in the next 40 years, scientists say. 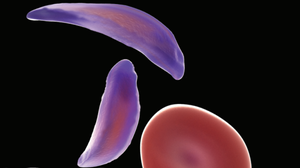 The vast majority of sickle cell cases will occur in developing countries, which don't have the resources to treat deadly complications arising from the genetic disorder. January 24, 2013  Patients with the blood disorder can experience severe pain. But when they arrive at the emergency room seeking help, health care personnel often think their requests for narcotics are a sign of addiction. Nursing professor Paula Tanabe is helping to illuminate the problem and improve treatment. January 26, 2012  The leading group of doctors specializing in blood disorders says it opposes the NCAA's screening program for sickle cell trait in college athletes. The doctors say it overlooks other, more common factors in exercise-related deaths and is not a comprehensive solution. January 4, 2012  When the Pittsburgh Steelers start the NFL playoffs with a road game in Denver's Mile High Stadium Sunday, they'll do it without free safety Ryan Clark. That's because Clark, who has 100 tackles and the confidence of his coaches, also has sickle cell trait, which can cause severe complications at high altitudes.